When the weather begins to warm up, your thoughts naturally turn to summer and the time you can spend outside. When the temperature soars, one of the best ways to stay cool is in a swimming pool. Concrete and fiberglass 1 in-ground pools are two different options to consider when installing a pool in your backyard. In the sections below, we will explain the differences between each one to help you make the right choice. 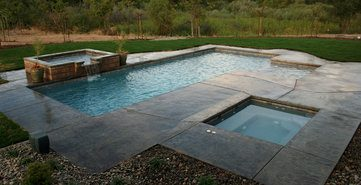 The installation of an in-ground pool is a large, complex task and is best left to professionals. Concrete pools are more difficult and time-consuming to install because they require reinforcing bars 2, mesh, and formwork built within a large excavated hole. 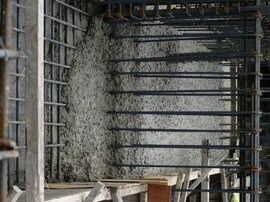 The concrete used should be dry-mixed on site and blown into place under pressure. This produces a higher-quality concrete that is less porous than wet-mixed concrete, which affects durability and longevity. 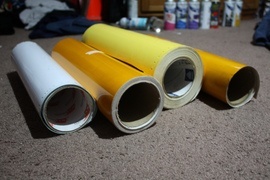 Therefore, installation is a long process that can stretch over many months. Fiberglass 1 pools are easier to install as they come pre-cast from a factory and are installed as a single piece on site. The pool is installed on top of a concrete or sand base inside a large excavated hole. 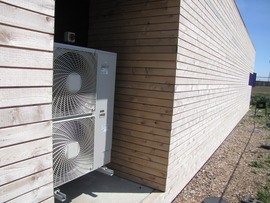 The installation is relatively quick and can be completed in three to five weeks. The cost for the materials and full installation of a 12x24-foot concrete pool is between $50,000 and $60,000. Costs are dependent on the type of concrete you choose, with cast in place being the least and gunite 3 costing the most. This includes site excavation and preparation, concrete along with forms and reinforcements, a pump 4 and necessary tubing, interior finishing supplies like sealant and paint, as well as a lamp and ladder. There are additional costs for a water heating system, a perimeter walkway, privacy fence 5, and vinyl 6 pool cover, plus additional labor. 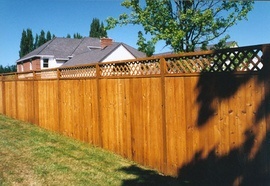 The fencing and decking alone add roughly $10,000 to the cost. Labor costs tend to be around $2,500 for the pouring of the concrete, with excavation costing around $10,000. The upfront costs of a concrete pool may be lower than a fiberglass 1 pool, but keep in mind that custom features will drive the price higher. A fiberglass pool is made in a factory and transported directly to the site where it will be installed. A 12x24-foot fiberglass pool shell, along with installation, which includes site excavation and preparation, a pump and necessary tubing, a lamp, and ladder, will cost approximately $60,000, including water heating system, perimeter walkway, privacy fence 5, and vinyl pool cover, and additional labor. The shell itself costs between $10,000 and $19,000 depending on finish, while labor costs between $10,000 and $20,000, fencing and decking add $10,000 and additional equipment makes up the rest of the cost. Fiberglass pools are prefinished with a smooth gel surface and do not require an additional sealant. Concrete pools will have a rougher, more porous surface and require a chemical sealant to prevent moisture absorption. The rough surface can easily trap bacteria, which can lead to algae growth. It can also cause scratches and cuts if you hit the bottom of the pool while jumping, playing, or swimming. 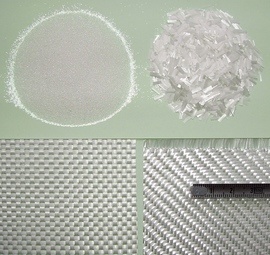 The surface of a fiberglass pool is smooth and much like that of a bathtub. It is also non-porous, making it unlikely that bacteria will find a place to grow. Keep in mind that fiberglass pool surfaces can become slippery when wet and built-in 7 stairs or other features that are part of the pool shell may cause a slip or other injury. Concrete pools will last longer than fiberglass pools because of the materials used and construction methods. With regular maintenance, cleaning, and resurfacing, a concrete pool can last for decades. A high-quality surface finishing product should be used to seal the concrete to improve longevity. A fiberglass pool will last between 20–25 years, although the interior gel finish may need to be reapplied every 10 years. These pools are less durable than concrete because they do not use the same reinforced construction methods, and the pool shell is installed on top of concrete or sand, making it prone to cracking as the ground settles or shifts. The flexibility of concrete pools is virtually unlimited and is the best choice for creating a customized pool that takes advantage of the size and shape of your space. Features like rocks, fountains, and grottos can be built into the design of your pool and seamlessly integrate into the surrounding landscape. A fiberglass pool is limited in size and shape because the shell comes pre-cast, and the installation area must be able to accommodate its dimensions. If you have limited space or unique features in your yard, like large trees or rocks, fiberglass will be more difficult to install. Because these pools are shipped from the factory by trucks, they cannot be larger than 16 feet, the width of roads, in any dimension. 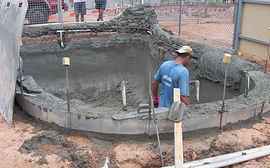 There is considerably more maintenance required for a concrete pool than a fiberglass pool. 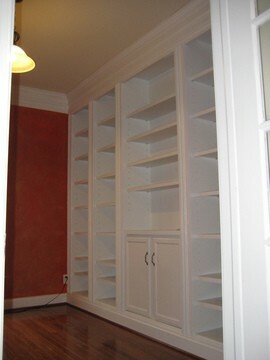 Weekly cleaning and scrubbing are required as well as the regular rebalancing of chemicals. 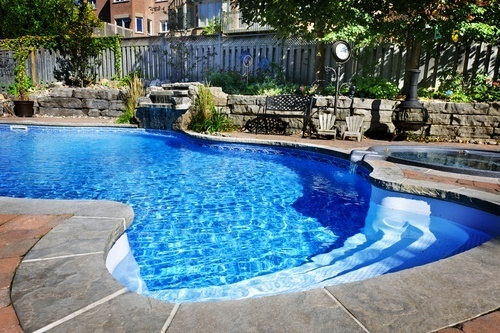 Concrete pools require a complete resurfacing every 10–15 years to maintain their surface and keep moisture out. The better maintained your pool is, the longer it will last and ensure that your investment is protected. Fiberglass pools require less maintenance and are easier to keep clean. The smooth surface of the fiberglass makes it easier to control algae and bacteria that may otherwise get caught on the rougher surfaces of a concrete pool. Fewer chemicals are needed in the water to control the bacteria. As a result, the lifetime cost of a fiberglass pool is considerably lower than a concrete pool. Fiberglass pools heat up quicker and retain heat longer than concrete pools. The fiberglass shell and liner 8 are thinner and made of a material that does not absorb heat, meaning that your water will warm faster and stay warm longer. Concrete absorbs heat, so in addition to heating the pool water, the pool heater must also warm the concrete to maintain its temperature. This process takes much longer and requires more energy to warm the water. According to the National Association of Realtors, both concrete and fiberglass pools can increase the resale value of your home, provided they are properly maintained. In recent years, there has been discussion as to whether in-ground pools are worth the ongoing expense to homeowners. Home buyers, however, tend to view a pool as a quality of life investment rather than a financial one. Depending on your climate and location, an in-ground pool can be a very attractive selling feature. 8 Liner: A covering, usually made of vinyl, for the walls and floor of a swimming pool, used to keep the water in and protect the pool's surface. How much does it cost to build a concrete or a fiberglass pool in my city? Cost to build a concrete or a fiberglass pool varies greatly by region (and even by zip code). To get free estimates from local contractors, please indicate yours.